Some people simply do not have enough healthy bone to support a permanent new smile with dental implants. In the past, this meant it was necessary to perform procedures such as bone grafting or sinus lift surgery. At Dental Implant Solutionz in Largo, FL – our prosthodontic specialist trained under the developer of the sinus lift procedure. His extensive knowledge and experience means that our office is able to provide implant support services to patients with even the most complex of needs. 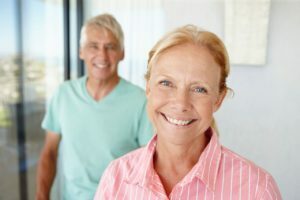 Thanks to a variety of different implant designs available, we can choose those that are less intrusive to your anatomically challenged areas. The smaller implant means it’s often possible to avoid the bone graft or sinus lift altogether. Regardless of the complexity of your case, our highly experienced implant dentist has the skills necessary to make your treatment as successful as possible. From minor sinus lifts to more extensive augmentation, we will select the procedure least invasive to your smile, that promotes the most optimal results for your oral health needs. A typical graft can start as low as $375. Grafting can help preserve natural teeth that are damaged by periodontal disease, and add necessary support for your new dental implants. Depending on the type of graft chosen, we can use simple bone particles, synthetic materials, and much more. Have you been denied dental implant treatment because of anatomically challenged areas of bone loss? Then call Dental Implant Solutionz in Largo to find out if one of our graft options can help!